Ask people why they come to Curzon cinema venues and you'll get a varied response: atmosphere, comfort, location and, for those who like a drink, the bar. But there’s one constant above all others: the film programme. We’re incredibly lucky to have a loyal audience who trust us implicitly and come week in, week out to watch films. Curzon is known as a place to discover other worlds and cultures, or see a different perspective. It’s also a place where the drinks and conversation flow in equal measure, where cinema becomes a memorable experience for a broad range of people. Then again, we’ve been in the cinema industry since 1934 and we’ve made it our business to bring films to audiences curious about the world. We have twelve venues across the UK and they are designed and furnished individually as well as being equipped with superior cinema technology. 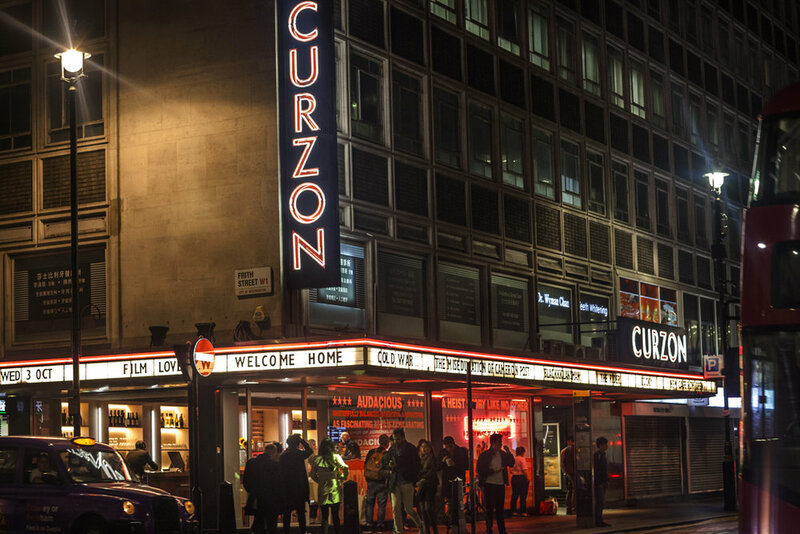 As of 2015, Curzon Cinemas are the first independent cinema group in the UK to pay the Living Wage. We launched Curzon Home Cinema in 2010, our on-demand film service enabling audiences to watch a range of films that are released on the same day as in cinemas. In addition to a website, the Curzon On Demand app is currently also available on: Virgin Media: TiVo®, Samsung Smart TV, Apple TV and Amazon Fire Stick . In February 2017, Curzon was awarded a BAFTA for Outstanding British Contribution to Cinema.